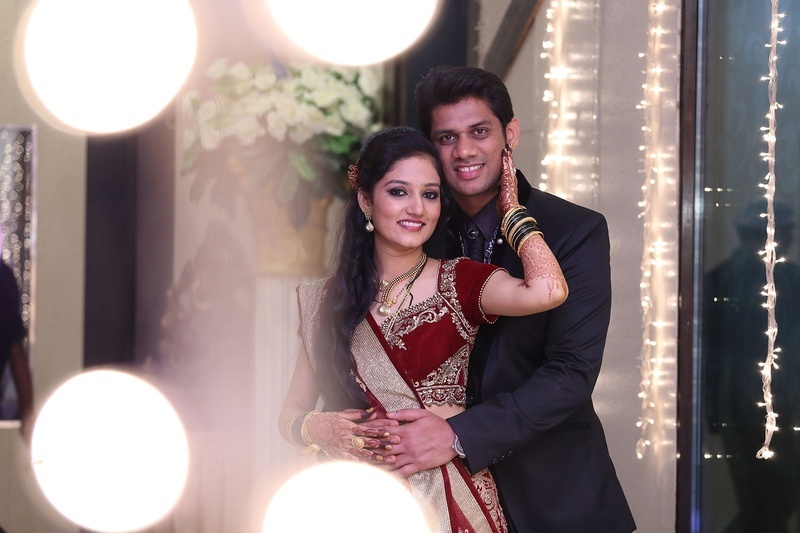 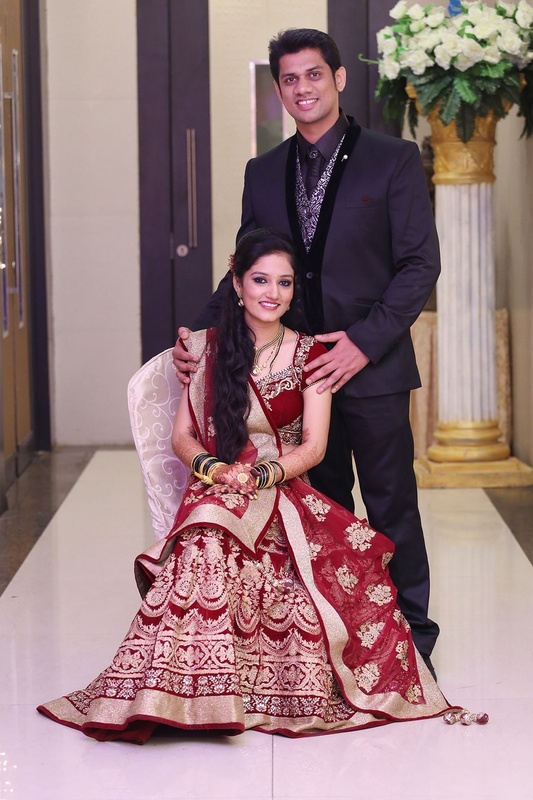 Rohit and Sonal’s union comprised of all things happy – whether it was the marriage ceremony, pre-wedding photoshoot or the alluring reception. 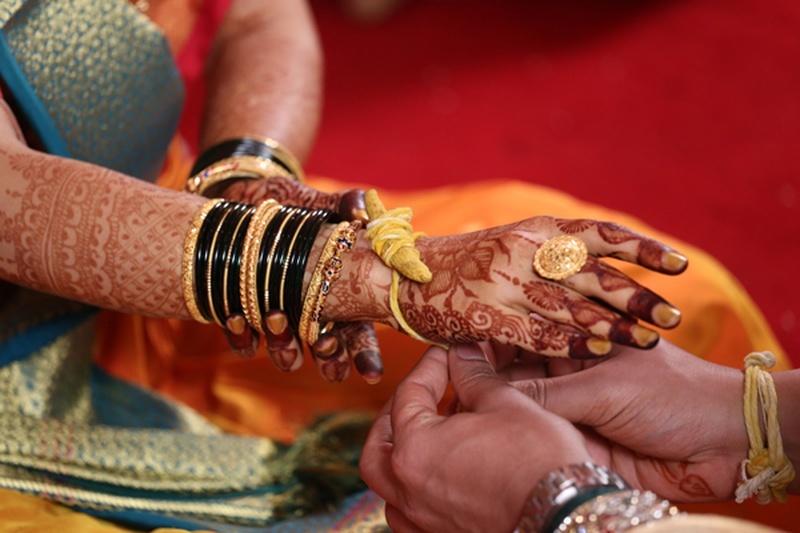 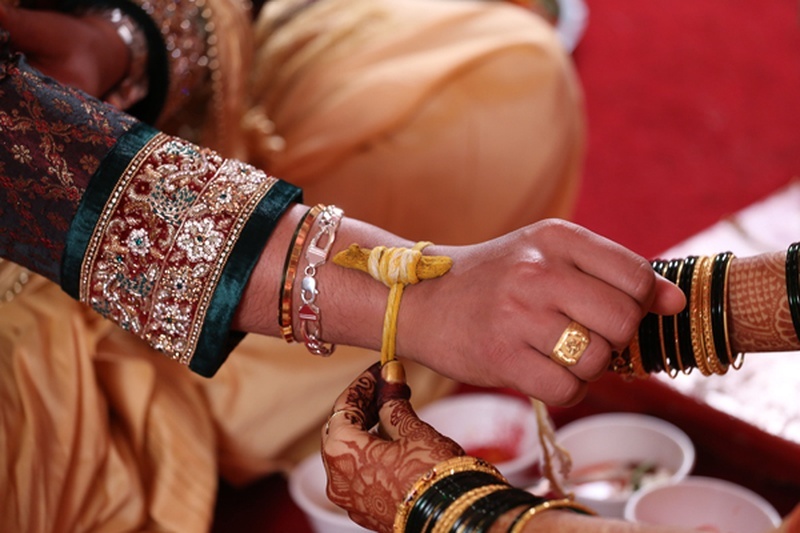 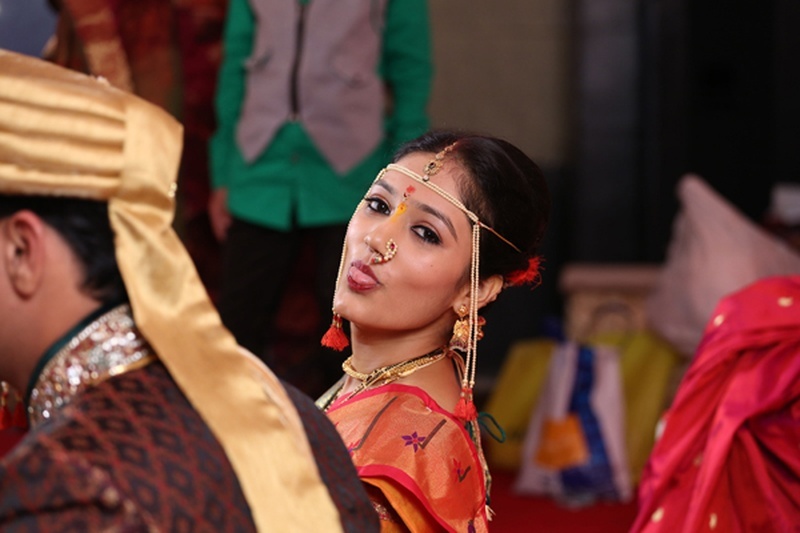 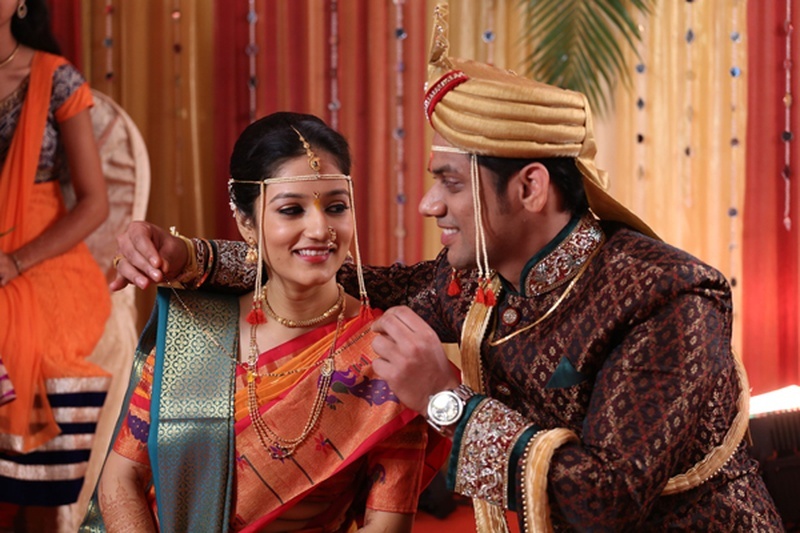 It was a celebration that serves as true inspiration for anyone who wants to wed the traditional Maharashtrian way. 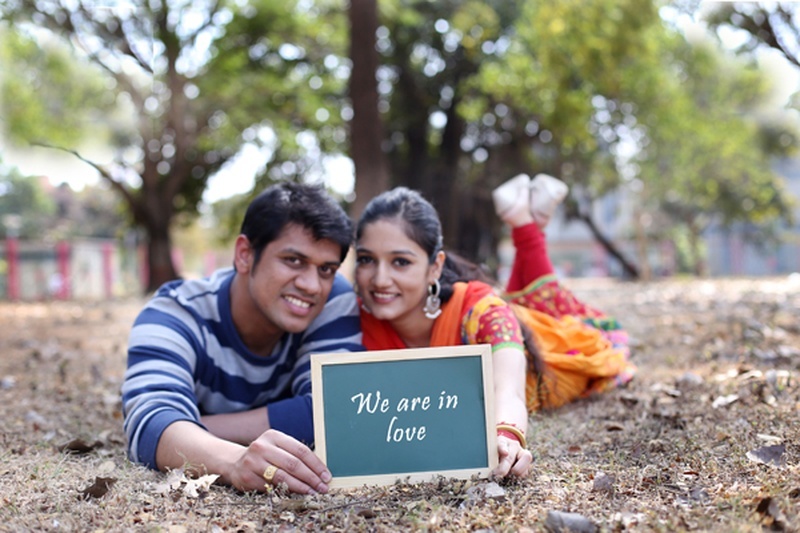 This soon-to-be-wed couple showed off different sides of themselves with multiple pre-wedding photoshoots. 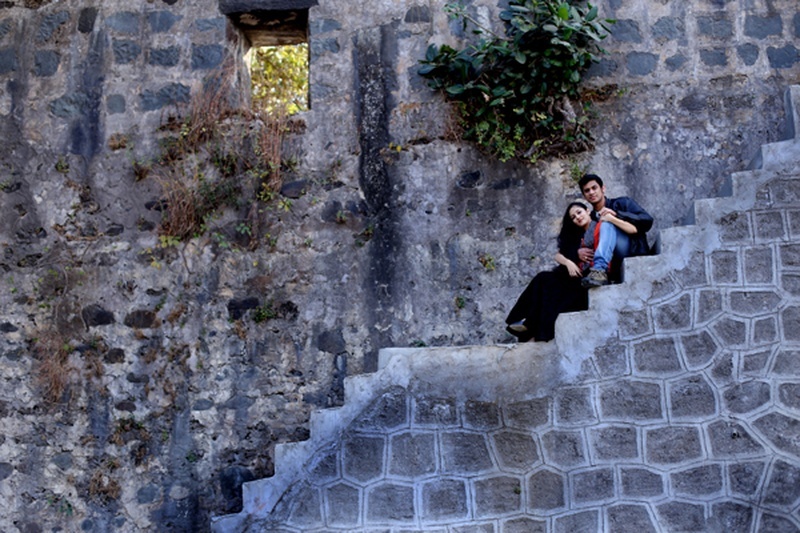 The romantic shots taken at sunset, the stunning captures at an abandoned fort and our personal favourites were the blissful pictures taken under lush green trees. 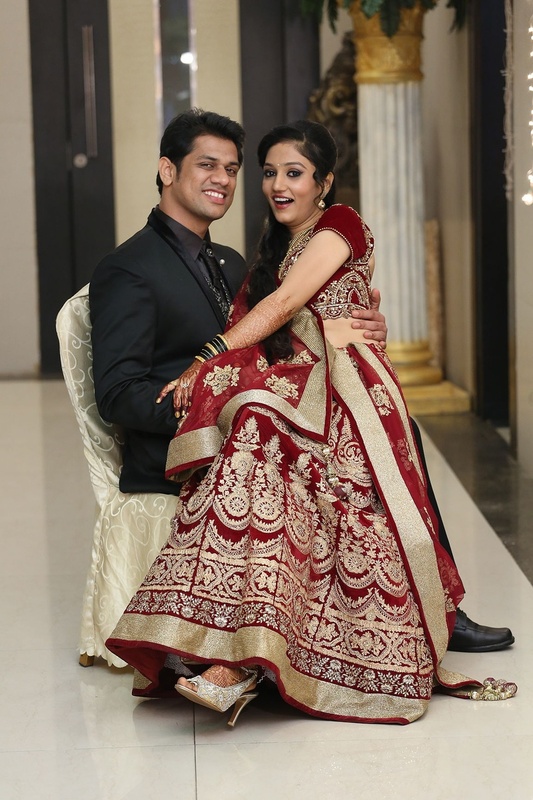 Their intimate wedding ceremony was held in a beautifully-decorated indoor mandap, which hosted the varmala and antarpat ceremony of this bride and groom. 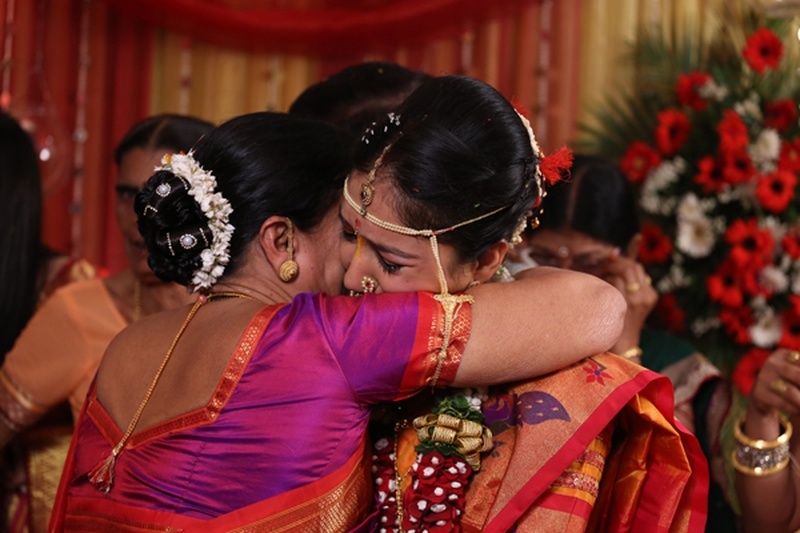 Sonal made a stunning bride in her red and yellow paithani silk saree. 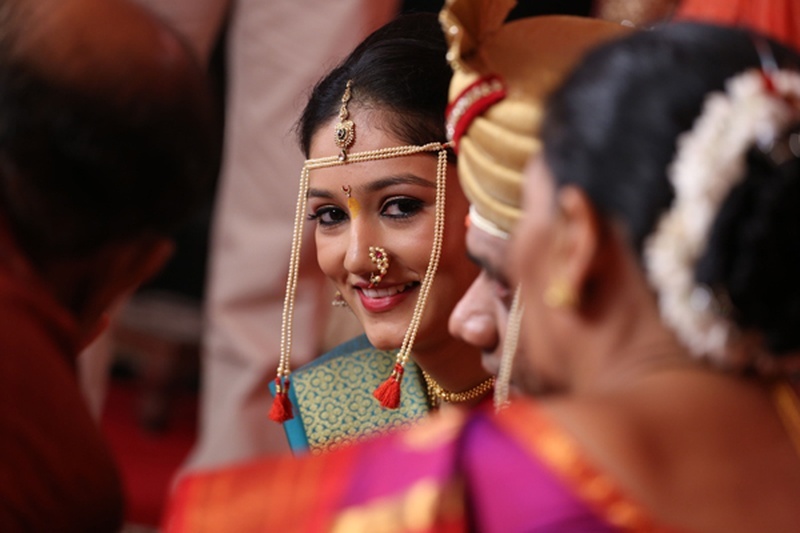 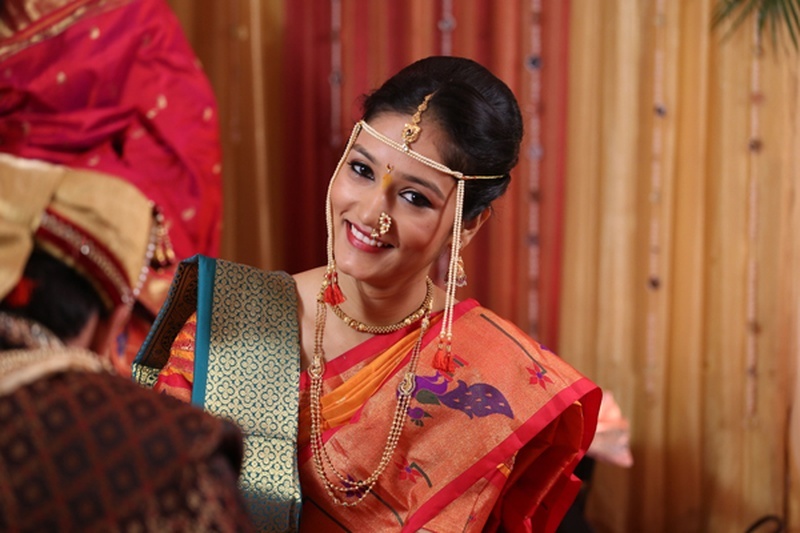 Her minimal bridal jewellery and pearl mundavalya made her look like a quintessential Maharashtrian bride. 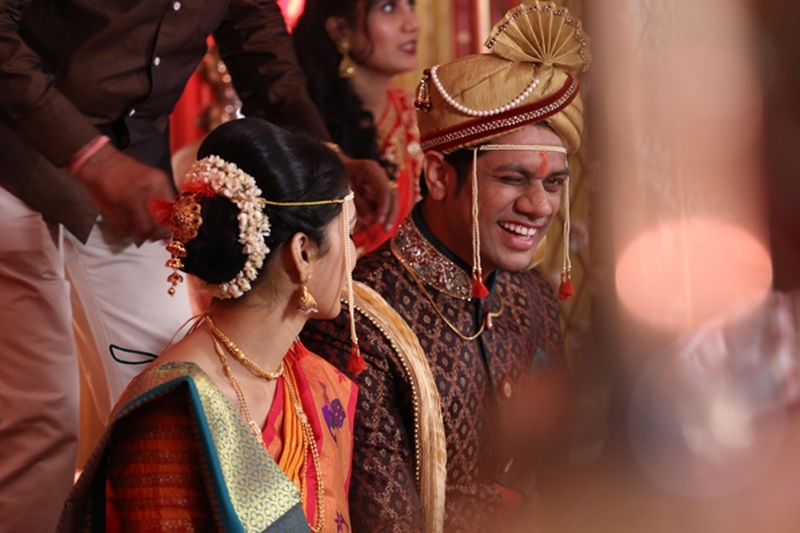 Even though every element of their marriage was done the traditional way, Rohit’s oufit definitely did not confine itself to the usual cream textured wedding sherwani that we see, but rather went with a stylish bronze and brown silk Sherwani paired with a gold Safa – and we were lovin’ it! 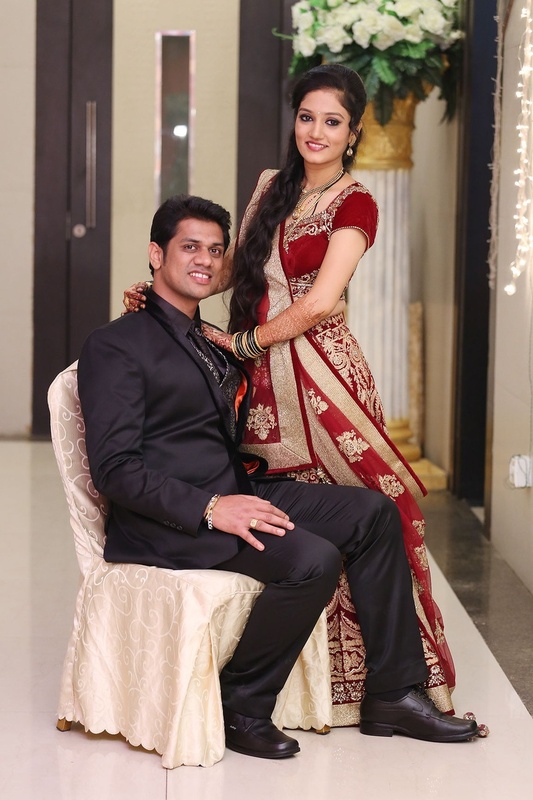 Once things were made official, celebrations continued at the reception party held inside a brightly-lit banquet hall decorated with tea-lights and gorgeous fresh flowers. 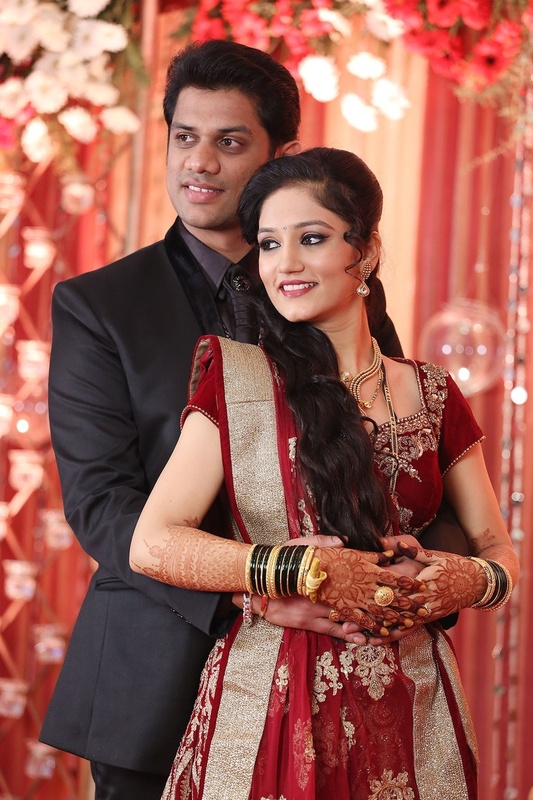 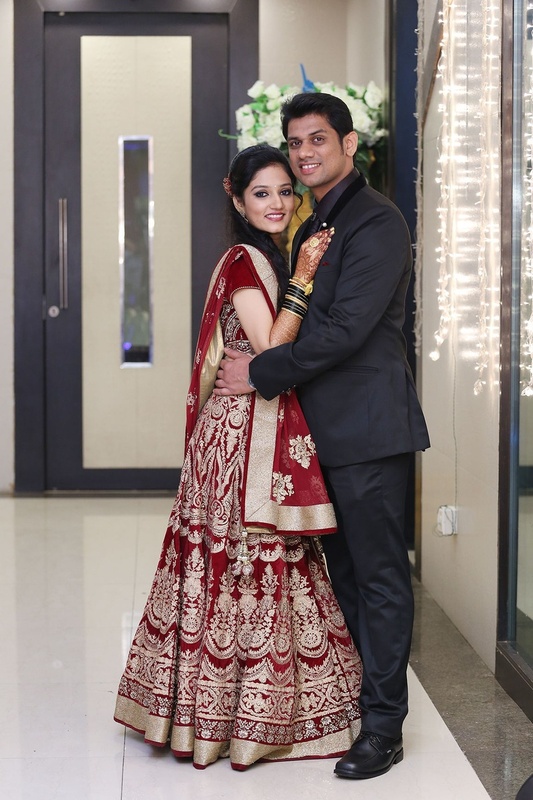 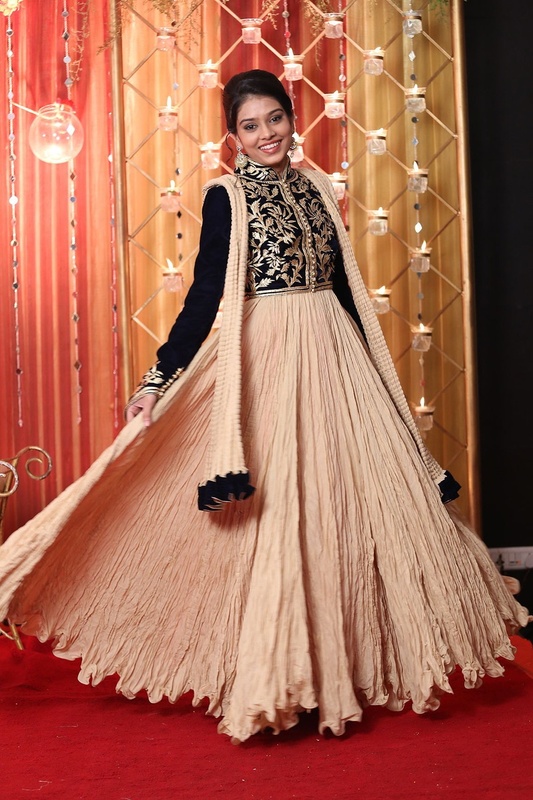 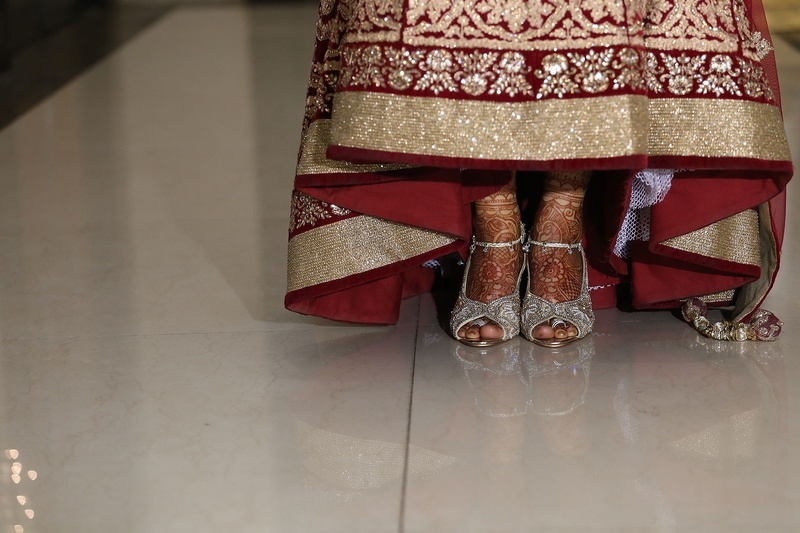 Sonal donned a stunning maroon and gold lehenga while Rohit kept it classy in his carbon black suit. 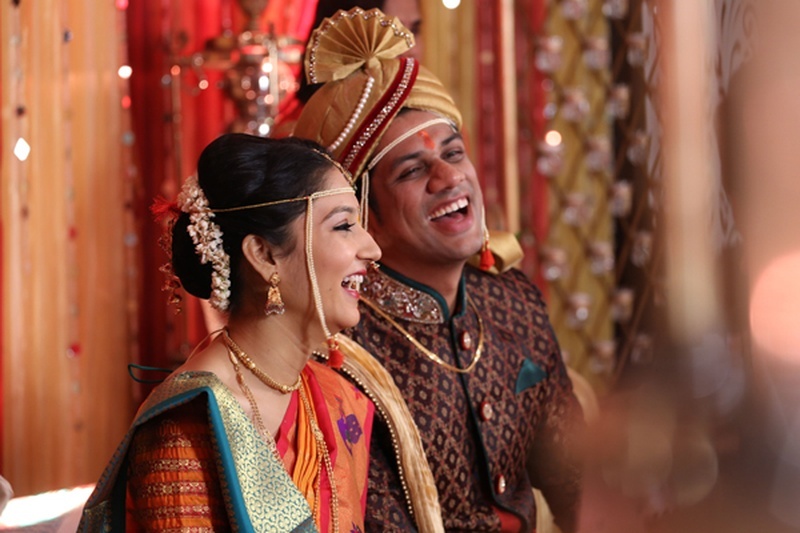 Right from the romantic pre-wedding photoshoot, up until the pictures taken at the reception, the team at Studio Deesha aptly captured every image of Sonal and Rohit’s union just perfectly. 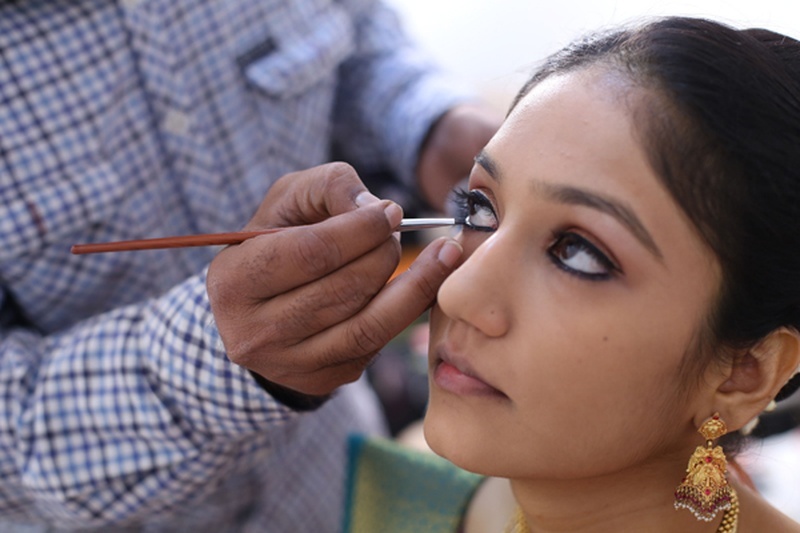 Take a look right here!